Everyone wins… when you support the Sarasota Medical Alliance Foundation Casino Night 2019! 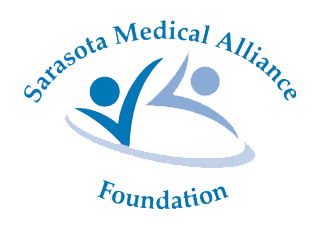 Sarasota Medical Alliance Foundation (SMAF) is celebrating its 71st year as a charitable organization dedicated to creating and maintaining impactful health projects in Sarasota County. These projects are made available to our community through the generous donations of individuals and business leaders like you! Please act now to get in on the action for Casino Royale 2019 featuring games, entertainment, hors d’oeuvres and more. An estimated 150 – 200 physicians and spouses are expected to attend. Sponsorships are now available. Contact us today to show your support! Thank you in advance for your support which makes an impact locally in Sarasota county. Sponsorship opportunities may be subject to change until agreements are completed. If you have a special request, please ask us. All area hospitals are encouraged to support the event as a medical community sponsor. Additional sponsorships, such as casino game tables, are also available. Fill out the form to state your pledge and we will be in touch with you. We appreciate your support of our health-related community projects. Or download our Sponsor Letter and Pledge Form pdf. Click here to download the pdf version of our sponsor pledge form and return it to us with your check. Please email your logo to Kim Chomiak at kim.chomiak@myscsmsa.org. Fill in the below information and we will have our appropriate committee chair contact you with details. GREAT GATSBY GALA ARCHIVE - click here . Interested in donating products or services?